Project was initiated in September 2003, as a nine month study under the DEFRA LINK Programme. The project has been managed by INBIS, with support from the University of Salford, and the Ergonomics and Safety Research Institute (ESRI, part of Loughborough University, lead by Zaheer Osman and Clare Lawton). This consortium provides a professional grouping to cover the width of requirements in industrial evaluation and processes, with the academic research capabilities in automation and ergonomics. The study involved four food sector companies, across a range of sectors and products including bakery, convenience foods, meat and fish. The objective was to determine the risks (mental and physical) to the workers involved in the production processes applied in the sector in ergonomics terms and consideration of potential common approaches to automation that may arise from looking across the sector. A combination of observation based techniques, ergonomic risk analysis tools, workstation measurements and interviews with the production line workers were conducted. This was then supported by discussions with management personnel and assessment of health and safety statistics. The results have confirmed that high repetition activities are causing and increasing risks of Work Related Upper Limb Disorders (WRULD’s) in the sector, and recommendations have been provided to each of the companies in the programme. The study has also recommended that ergonomics and independent process review techniques, are applied as part of the business process to change production systems, or introduce greater automation. The human to machine interaction is an area that has shown potential scope of considerable improvement from the study. A further recommendation has been to apply ergonomic risk models as part of the business cases for process improvement and automation. This adds an additional dimension, and benefits to businesses. 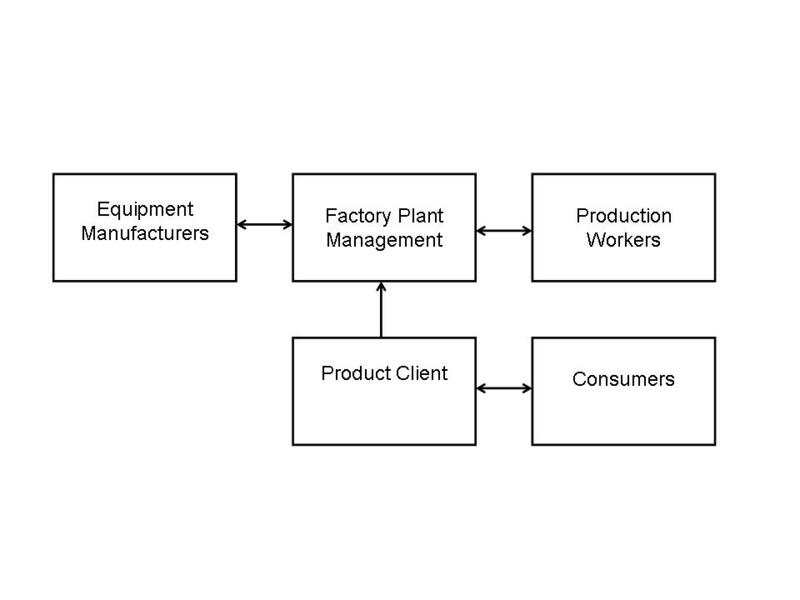 This is an area that the INBIS, Salford, and Loughborough consortium believe the experience from the programme can be applied elsewhere in the sector which can generate considerable benefits for both businesses and the individuals working in production areas, and are keen to discuss this further with companies to optimise processes, apply automation, and human to machine interaction and design, and ergonomics analysis techniques.